Order now and get 10% off our commercial cleaning kit! Now only £26.99 while stocks last! (plus free shipping). Everything you need to keep your home or office fresh and clean without harsh chemicals. 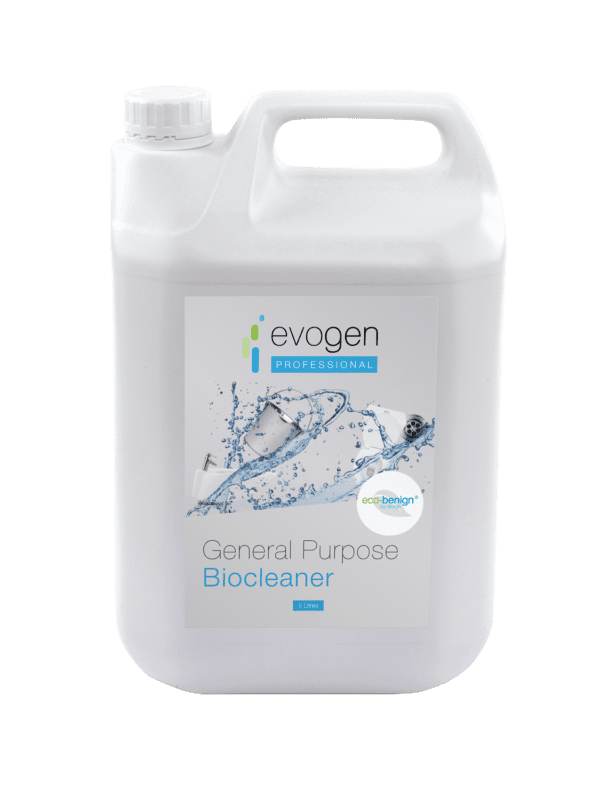 Our Evogen Professional cleaning kit includes products for commercial and domestic cleaning of washrooms, carpets & fabrics, kitchen equipment (like kettles) and more. Purchase your kit today for an exclusive sample pack of our most popular wholesale cleaning products. All prices exclusive of VAT and free shipping with all orders. 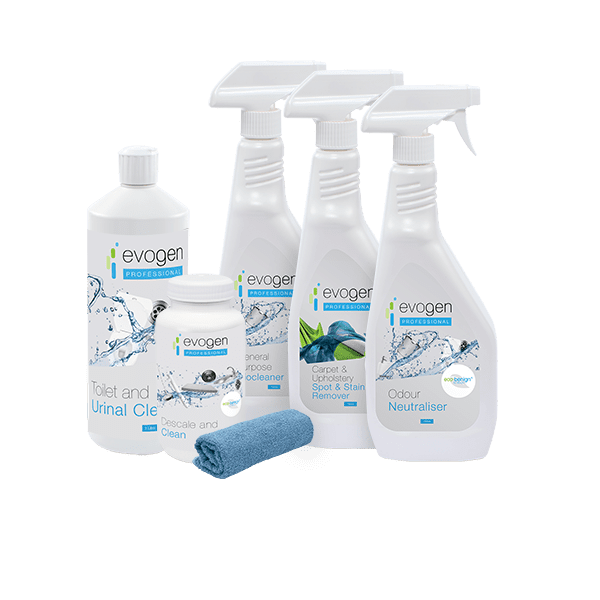 The Evogen Professional All-in-one Cleaning Kit is the ultimate way to sample our performance-driven, eco-benign® professional cleaning supplies quickly and easily. The pack includes 5 of our most popular products, for all your commercial cleaning needs. With long-lasting results, our products reduce the need for repeated cleaning - saving you money, time and labour. 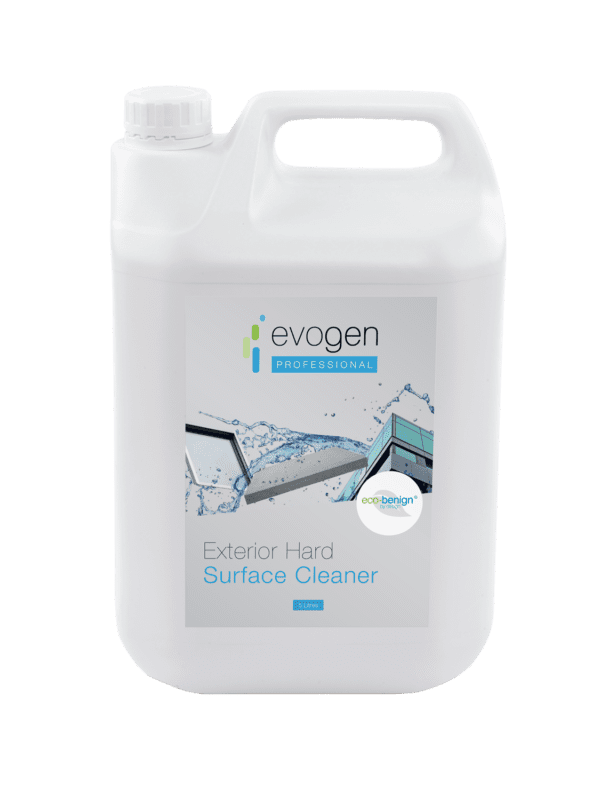 The Evogen Professional range is the latest complete cleaning range designed specifically for the Professional facilities management and cleaning markets. These products provide increased efficacy of cleaning through formulations engineered for specific soiling areas and challenges found within these markets. 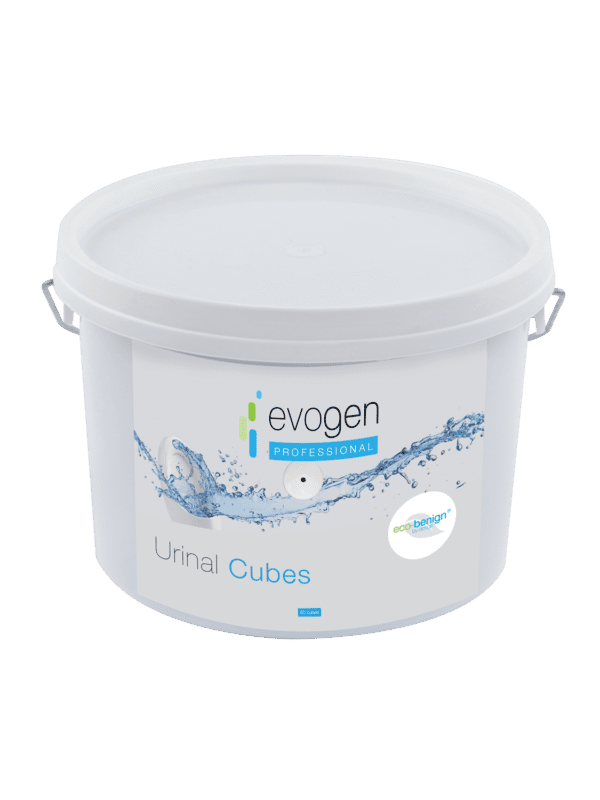 The result is a range of superior-quality, solution-specific products which combine unmatched performance with environmental responsibility; products which continue working long after chemical alternatives have expired. © 2019 Evogen Professional All Rights Reserved.